Summer days are here to stay – for a couple of months at least. Which also means that it’s party season – weddings, garden parties, summer and graduation balls. Outdoor parties in the summer sun (or under a balmy star-studded sky) are simply the best, and they can be made even better with a little bit of close up mingle magic! But wait, you say, isn’t magic just for kids? Not at all! A talented performer of close up magic or table magic is an excellent choice of entertainment for a summer party. The flair and ‘wow’ factor of magic, combined with tongue in cheek banter, are the perfect ingredients for an event to remember. Any sit-down event is going to have a few awkward lulls… in the beginning, before things get going, between courses or waiting for the buffet, after dinner or between speeches. A professional table magician can fill in the gaps and ensure that guests have a wonderful, memorable time. Close up magic makes for superb after dinner entertainment. A professional magician can mingle from table to table, performing mind-boggling sleight of hand tricks, interact with guests and keep them interested and laughing out loud in amazement. Standing around at a cocktail party gets boring after a while – to liven things up with a little close-up magic show. Mingle magic can provide that something special to a garden party, and keep things buzzing. A skilled magician can work for any crowd, mingling from group to group and performing astounding illusions that keep people guessing. It’s a fantastic way to keep guests engaged, talking and excited, and ensure that there are no dull moments. Sometimes it can take a little while to get a party started. Awkward small talk and prolonged silences are not fun! Close up magic is a great way to bring people together if they don’t know each other well or are feeling nervous. 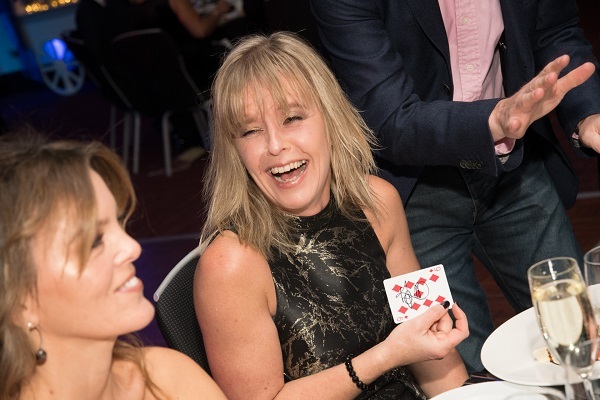 A performer skilled in mingle magic is a super form of entertainment to break the ice at the start of your event, drawing guests in and engaging them with humour, fast-paced banter and fantastic sleight of hand magic tricks. 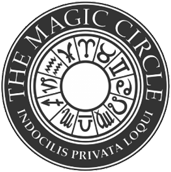 Dan provides close up magic across London, Berkshire, Surrey, Hampshire, Oxfordshire and Buckinghamshire.